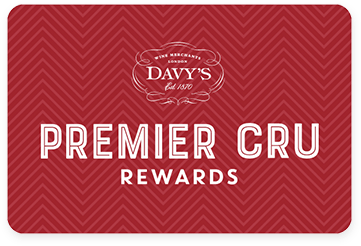 Premier Cru Rewards - Purchase this today and earn 645 points to redeem for free wine and gifts. Made by Antinori’s 26th generation of winemakers, Solaia is a Super Tuscan wine sourced from their Tignanello estate in the heart of Chianti. Produced for the first time in 1978, Solaia is only made in superior vintage. Aged for 18 months in oak barrel, this is an elegant and structured wine with perfectly ripe fruits and great aging potential. Impressive and opulent with aromas of coffee, chocolate, mint, and licorice. Very elegant on the palate with superb concentration of fruits and soft and velvety tannins. Received 96pts from both Wine Advodate and James Suckling in 2013. Italian still red wine from Chianti in Tuscany Italy made with Cabernet Sauvignon and Cabernet Franc. Tenuta Tignanello is one of the many properties owned by Marchese Antinori, a six century old family based in Tuscany. Located in the heart of Chianti the estate was sold to them in the mid-19th century and became the place for their experimental work in 1979. Not only Sangiovese is grown on the estate but also Bordeaux grape varieties. Their aim is to reconcile tradition and modernity with wines being the true expression of their terroir. The two iconic wines of the estate, Solaia and Tignanello, translate perfectly this ambition and have been defined by the international press as “amongst the most influential wines” in Italy’s wine history. View our selection. Out of the 127 hectares of vines, 57 hectares are dedicated to Tignanello vineyard and 20 hectares to Solaia. The estate is planted with native Sangiovese and non-traditional Cabernet Sauvignon and Cabernet Franc and also some Syrah and Merlot as an experiment. Small proportion of white grapes, Malvasia and Trebbiano, are also used for the production of their Vin Santo. All wines spend a minimum of 12 months in oak barrel. Four wines are produced; two Toscana IGT, Solaia mainly made with Cabernet Sauvignon and Tignanello mainly made with Sangiovese, Chianti Marchese Antinori and Vinsanto Tenute Marchese Antinori.